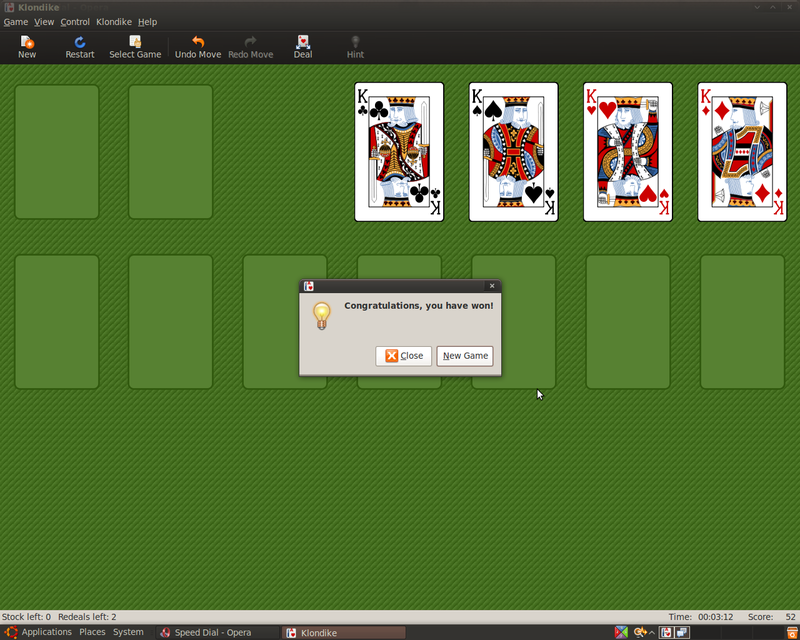 Awesome, I beat Solitaire in one deal! 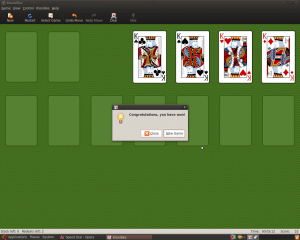 This is the first time that I’ve ever beat Solitaire without having to go through the deal more than once. Some how I did it twice more tonight! Previous Previous post: kyleabaker.com iPhoneized! Next Next post: WP-UserAgent: A new User Agent plugin for WordPress, by me!